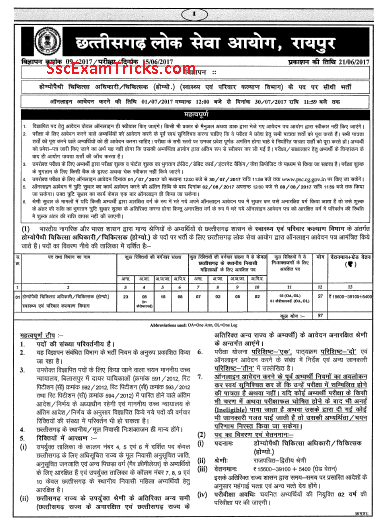 Chhattisgarh Public Service Commission MO Admit Card 2017 - CGPSC 57 Homeopathy Medical Officer/ Doctor (Homeo) Vacancies 2017-18 Apply Online Application - www.psc.cg.gov.in. 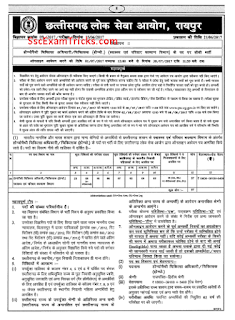 Latest News - CGPSC has uploaded the list of eligible candidates for the examination. Chhattisgarh Public Service Commission has released notification for 54 vacancies of Homeopathy Medical Officer/ Doctor (Homeo) and invited applications from 01st July to 30th July 2017 at www.psc.cg.gov.in. Many interested and eligible candidates can download the notification and can apply online for this recruitment before the last date. · Click online application apply link. · Upload photo and signature. · Finally, press submit button. · Take the print out of application for future.